It is an old saying that art movies are art movies, commercial ones are commercial, and the twain shall not meet. This film has the lots of freshness and is a class apart. _x000D_ Sometimes, you feel like watching old classics done _x000D_ by the legends like K Balachandar, K Viswanath and Bapu. _x000D_ The first half is excellent. The second half is good. _x000D_ The director Sekhar Kammula should have concentrated _x000D_ more on the last 30 minutes, as it appeared little dragged. _x000D_ It is a director's film and Sekhar Kammula should be _x000D_ commended for making film without imitating/formulizing _x000D_ and for leaving his own signature on 'Anand'. This film _x000D_ definitely lives up to its caption of 'manchi coffee _x000D_ lanti cinema'. 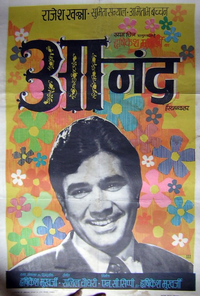 Films like Anand should be watched and _x000D_ appreciated by all. I would recommend 'Anand' to everybody.